Changing diapers these days with a 9-month-old can be quite the event. 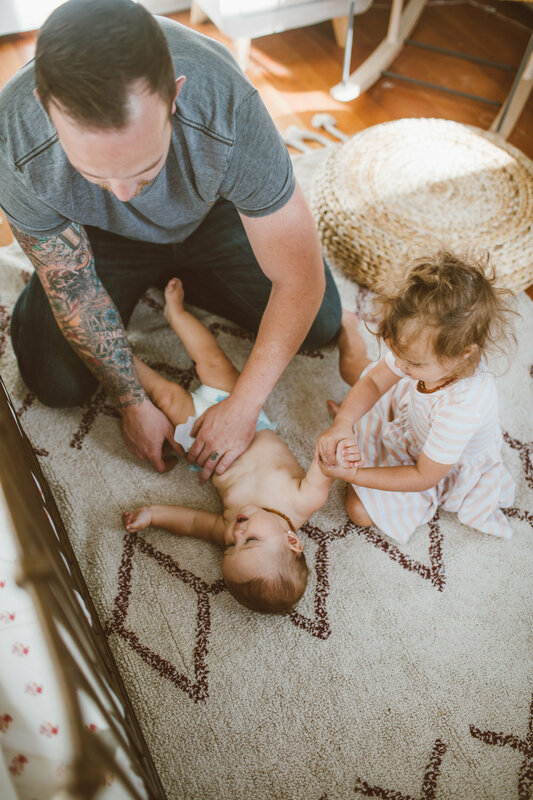 Here we have papa, aka the baby wrangler showing how to change your squirmy rolly polly baby's diaper with no tears. You'll need a chatty slightly bossy toddler and of course your diapers. We are using Pampers Baby-Dry that offer up to 12 hours of overnight protection. Pampers Baby-Dry offer exclusive Extra Absorb Channels for a comfortable fit all while keeping your baby dry so you can hopefully catch a little more sleep. Let's get to it! First, you start off by kissing your cute baby, letting them stroke your face and think you are wrapped around their little finger (which let's be honest, you are) then your toddler slips in to make her smile and also slightly confused. 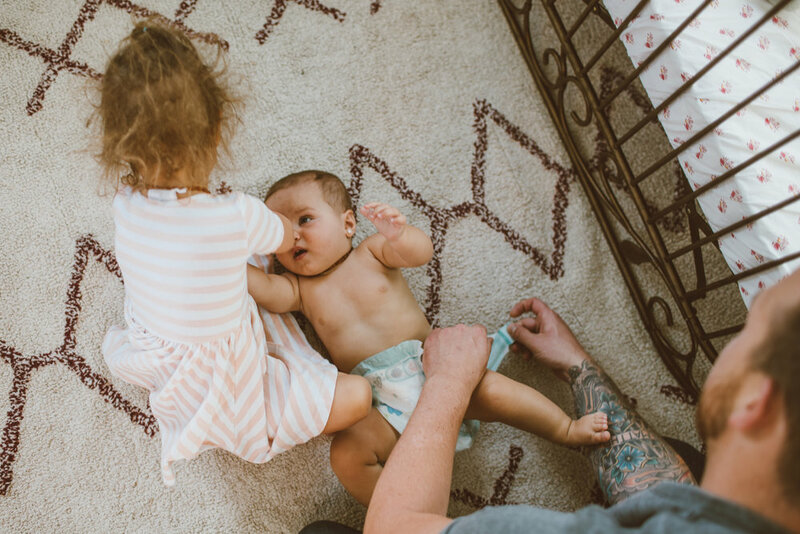 Your baby might be onto you and start to try and roll, but rest assure your toddler will grab their hand and sing a silly song to keep them oblivious. But beware, you know toddlers can think they know it all and they might start pointing their little cute fingers at you to make sure you latch each side tight enough. Then wha-la your pro papa skills have shined true and your baby is all clean and ready to gooooooo. This post was in partnership with Pampers but all opinions are my own.